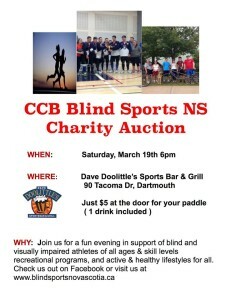 Join us for great deals and good times at the annual CCB Blind Sports NS Charity Auction! 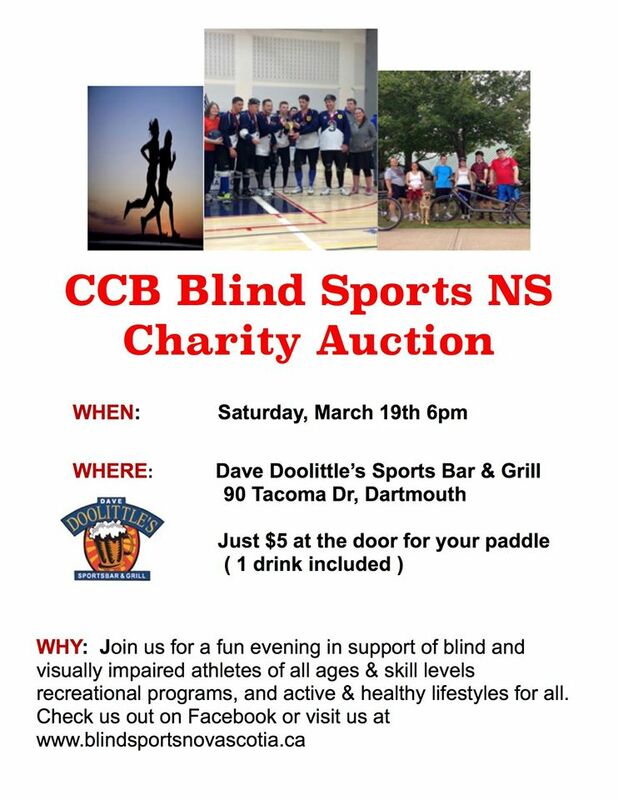 This fun evening is in support of blind and visually impaired athletes of all ages & skill levels! Just $5 for your auction paddle and 1 drink ticket!